Java Runtime Environment (JRE) is an add-on for operating systems and allows users to use interactive web applications or programs that requires it. 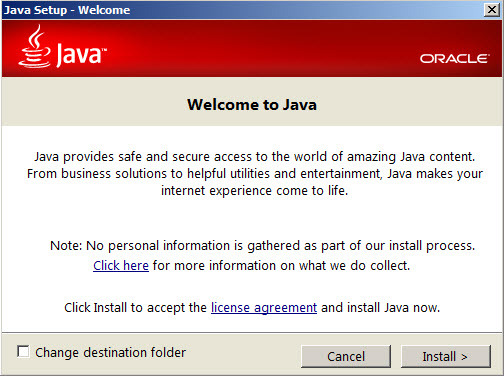 In order to be available on different platforms, many programs are developed in Java. So, you will need to install this add-on on your Windows computer to be able to use these kind of applications. Also, it is important to keep JRE updated, because the developer (Oracle) releases new versions to fix bugs, security issues or to improve the performance. You will see that at some point, a program will require to have it installed, because Java is very popular and used by many software manufacturers. Technically, Java Runtime Environment includes Java Virtual Machine which allows the Java Plug-in to run inside your browser. Practically, Java Plug-in is an invisible interface which allows your web browser to recognize and interpret programs or interactive content. This utility is available for all major operating systems such as Windows, Mac OS X and Linux. 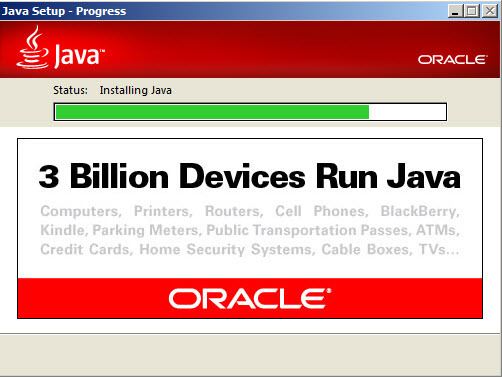 Java Runtime Environment (JRE) is available as free download for Windows 32-bit and 64-bit. Select version Java Runtime Environment (JRE) 8.0 build 20 (32-bit) Java Runtime Environment (JRE) 8.0 build 20 (64-bit) Java Runtime Environment (JRE) 8.0 build 11 (32-bit) Java Runtime Environment (JRE) 8.0 build 11 (64-bit) Java Runtime Environment (JRE) 8.0 build 5 (32-bit) Java Runtime Environment (JRE) 8.0 build 5 (64-bit) Java Runtime Environment (JRE) 8.0 (32-bit) Java Runtime Environment (JRE) 8.0 (64-bit) Java Runtime Environment (JRE) 1.7.0.51 (32-bit) Java Runtime Environment (JRE) 1.7.0.51 (64-bit) Java Runtime Environment (JRE) 1.7.0.45 (32-bit) Java Runtime Environment (JRE) 1.7.0.45 (64-bit) Java Runtime Environment (JRE) 1.7.0.40 (32-bit) Java Runtime Environment (JRE) 1.7.0.40 (64-bit) Java Runtime Environment (JRE) 1.7.0.25 (32-bit) more..
Java Runtime Environment (JRE) is 100% clean and safe to install. You can see the test results here.